An amazing little record – a 70s session that we'd easily rank right up there with the best recordings ever from Joyce, but one that's only being issued here for the first time ever! 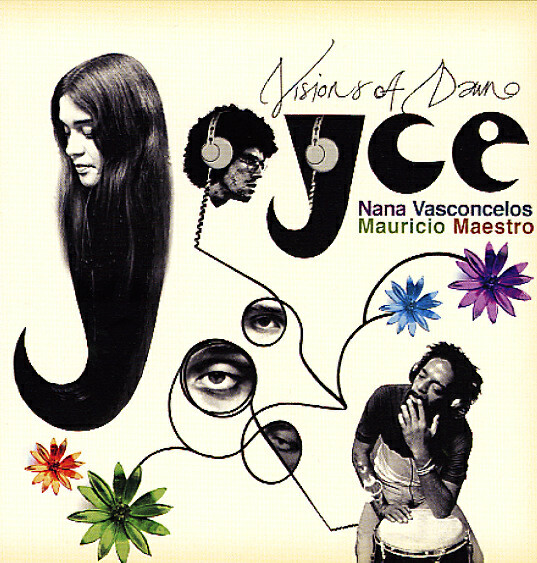 The sound is brilliant – that beautiful mix of strong and sweet that you'll always find when Joyce is at her best – and the set features equally wonderful contributions from Nana Vasconcelos on percussion, and Mauricio Maestro on bass, vocals, and guitar! All sounds are acoustic, but have this otherworldly feel – that buoyant, sparkling sort of quality on Joyce classics like Feminina or Agua E Luz – the there's a driving sense of rhythm that really moves the whole album – taking it far past what you might expect from the spare instrumentation. Tremendous stuff throughout, and a musical discovery that has us falling in love with the music of Joyce all over again! Titles include "Clareana", "Metralhadeira", "Nacional Kid", "Tudo Bonito", "Memorias Do Porvir", "Visoes Do Amanhecer", "Chegada", and "Banana". © 1996-2019, Dusty Groove, Inc.